Halloween in Toronto means contemplating on what to be, where to go, and whether to wear a jacket or brave the cold- PEOPLE GOTS TO SEE WHO YOU REALLY ARE! This year, thanks to the 31st falling on a Wednesday, the city has multiple opportunities to dress up on Friday October 26th, Saturday October 27th, or Wednesday October 31st! We have rounded up the best events being thrown in the city by genre, because there is nothing worst than walking into a party hoping to hear “The party never ends/In a motel, laying with my sins” but instead have “We, are never ever, ever getting back together!” blasting through the speakers. We know. We been there. RUE MORGUE HALLOWEEN "The Devil's Playground"
Join the staff and writers of the world’s premiere horror in culture and entertainment publication for a night of Halloween horror you won't forget! Also featuring the demonic dance music of DJ JIMI LaMORT and DJ SAUCY MISO, digital deco, VIP Area and more! PANIC is a brilliant evening of new wave, post-punk, classic alternatives, synth pioneers, britpop, shoegaze, madchester, new romantic, classic industrial, ska, goth, and more. Spinning anything broadly defined as 'punk' all night, from Against Me! and Green Day, to Black Flag and Bikini Kill, to Alexisonfire and Blondie. The STONES PLACE HALLOWEEN PARTY happens Saturday October 27th with their ROCK’N’ROLL CIRCUS! Cheap drinks & Rock n' Roll all night! Back for the 5th year and taking it to the Toronto waterfront w/ new school hip hop, house, and trap. A night of strong beats complimenting the view of the lake, because why not you classy b*tch. Costumes are strongly encouraged! But if you don’t have a costume, don’t worry - there will be free pieces at the door. The event is QTPOC and LBGTQIA friendly and a safe space for all. Family Business resurrect their Faded DJs FBomb & Ry-Fi to bring the night to life with the hottest hip-hop, R&B and dancehall tracks. 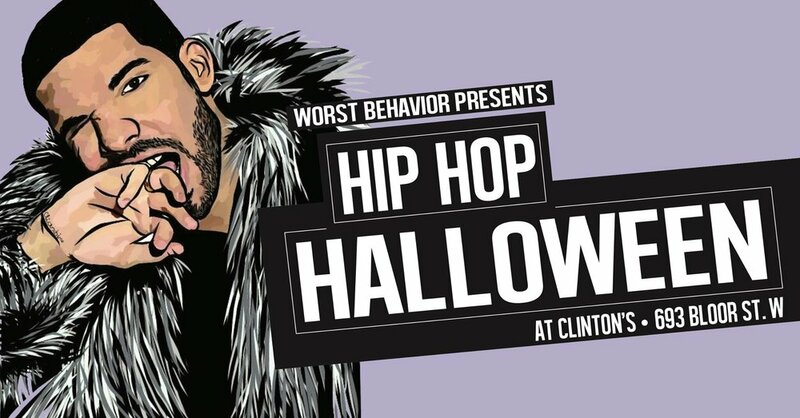 On Saturday October 27th Bangs & Blush will be rattling your bones at Worst Behavior: Hip Hop Halloween edition. Playing rap, hip hop and drake all night. Join Pop! Goes The World! 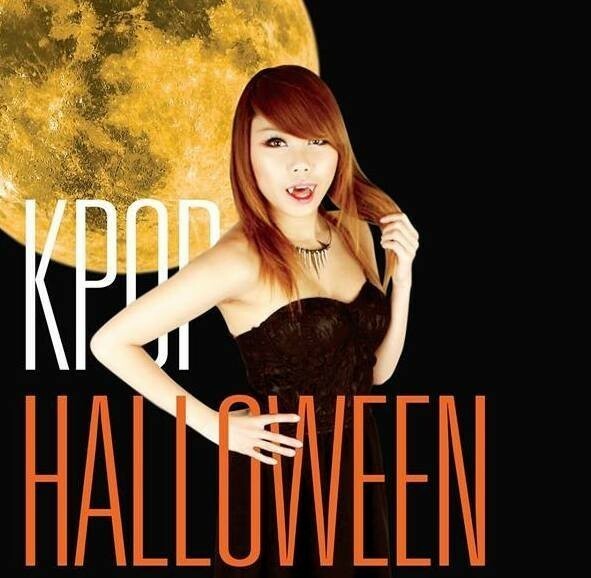 for their 7th annual Kpop Halloween Party (a little earlier this year) on Friday, October 19th. Toronto’s Official Bollywood & Bhangra Halloween Costume Party!